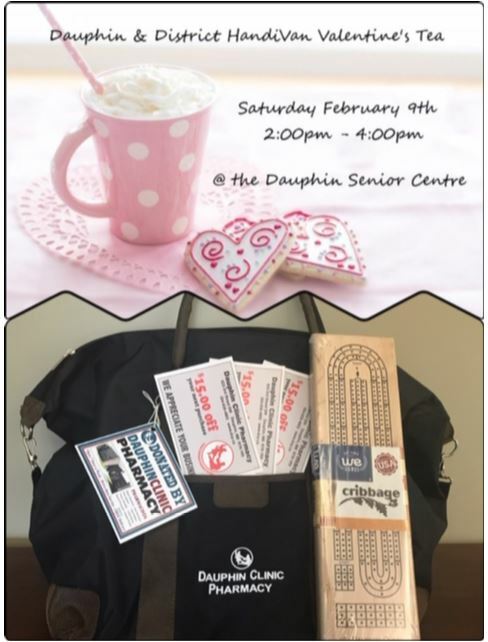 The Dauphin & District HandiVan Valentine's Tea is holding their annual fundraising event on Saturday February 9th, 2019 from 2pm to 4pm at the Dauphin Senior Centre. Proceeds go toward providing transportation for our Seniors & Persons with Mobility Issues. DCP has donated a prize for the silent auction. We are fortunate to have the HandiVan service in Dauphin.